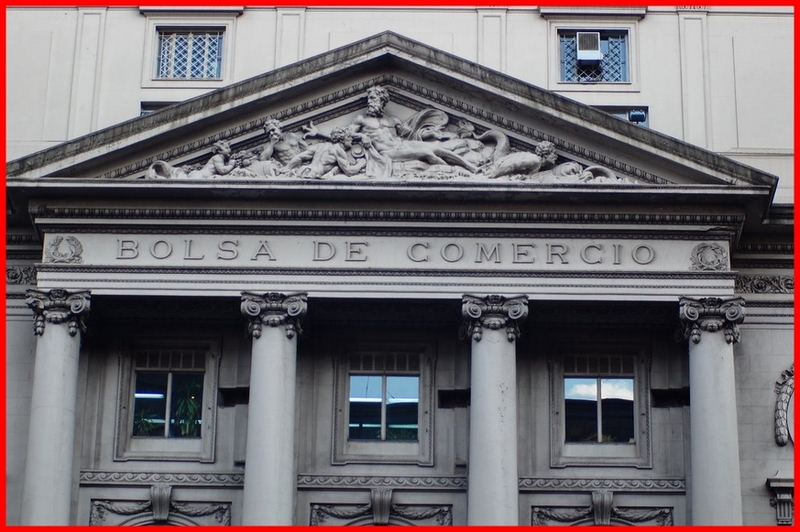 The Buenos Aires Stock Exchange (BCBA; Spanish: Bolsa de Comercio de Buenos Aires) is the organization responsible for the operation of Argentina‘s primary stock exchange located at Buenos Aires CBD. Founded in 1854, is the successor of the Banco Mercantil, created in 1822 by Bernardino Rivadavia. The most important index of the Stock market is the MERVAL (from MERcado de VALores, “stock market”), which includes the most important papers. Other indicators are Burcap, Bolsa General and M.AR., and currency indicators Indol and Wholesale Indol. 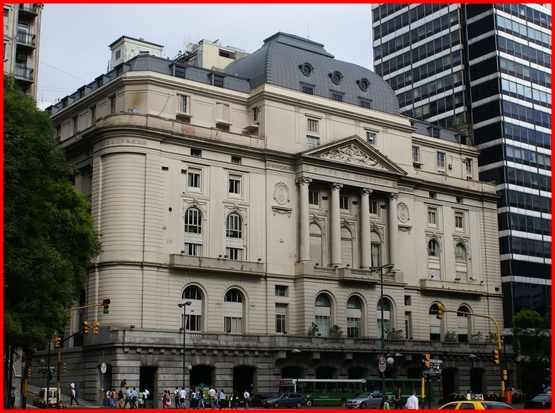 The Stock Exchange’s current, Leandro Alem Avenue headquarters was designed by Norwegian-Argentine architect Alejandro Christophersen in 1913, and completed in 1916. A modernist annex was designed by local architect Mario Roberto Álvarez in 1972, and inaugurated in 1977. 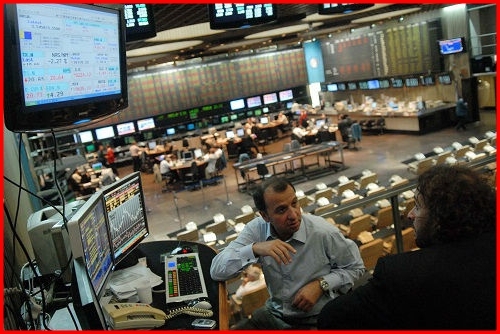 The MERVAL Index (MERcado de VALores, literally Stock Exchange) is the most important index of the Buenos Aires Stock Exchange. It is aprice-weighted index, calculated as the market value of a portfolio of stocks selected based on their market share, number of transactions and quotation price. 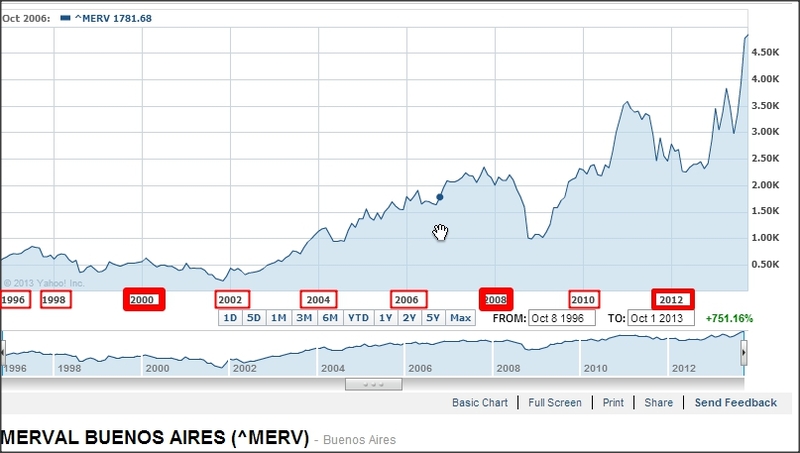 The base of MERVAL is set at 30 June 1986 = 0.01 Argentine pesos. The corporations and weighted prices that compose MERVAL are updated every three months, based on their market share during the previous period. his is a list of active stock exchanges. Those futures exchanges that also offer trading in securities besides trading in futures contracts are listed both here and the list of futures exchanges. 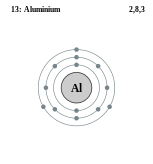 Aluminium ( /ˌæljuːˈmɪniəm/ al-ew-min-ee-əm) or aluminum (American English; /əˈluːmɪnəm/ ə-loo-mi-nəm) is a chemical element in the boron group with symbol Al and atomic number 13. It is silvery white, and it is not soluble in water under normal circumstances. Aluminium is the third most abundant element (after oxygen and silicon), and the most abundant metal, in the Earth‘s crust. It makes up about 8% by weight of the Earth’s solid surface. 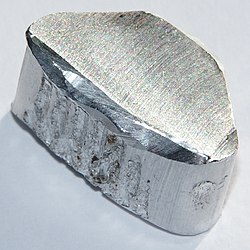 Aluminium metal is so chemically reactive that native specimens are rare and limited to extreme reducing environments. 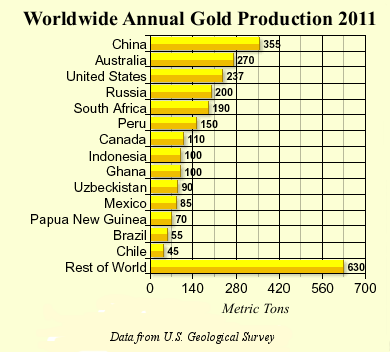 Instead, it is found combined in over 270 different minerals. 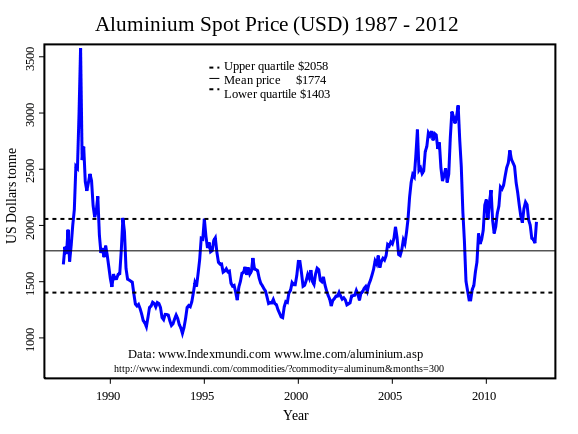 The chief ore of aluminium is bauxite.